I'm looking forward to this coming weekend which is the "Celebrating the Poetic Legacy of Whitman, Williams, and Ginsberg Literary Festival and Conference." The day-long event will be held at the Poetry Center of Passaic County Community College in Paterson, NJ. 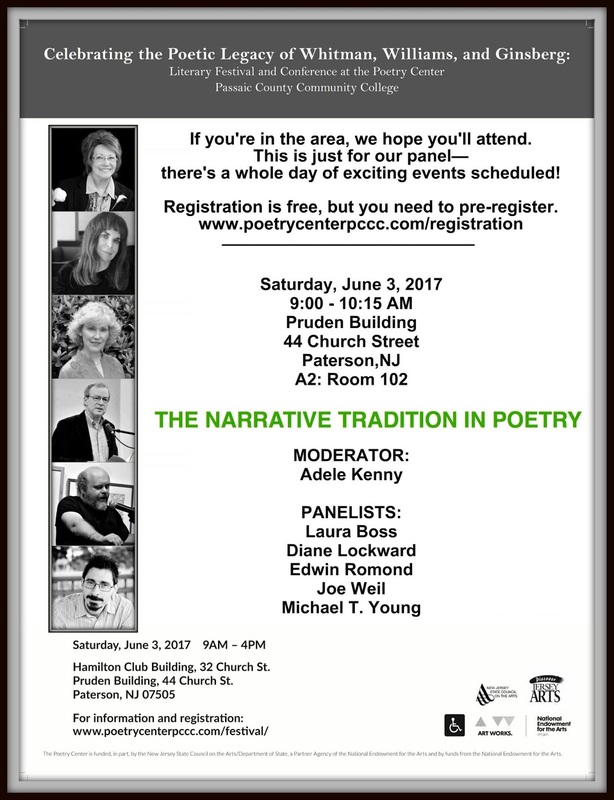 I'm going to be on the panel, "The Narrative Tradition in Poetry," organized and moderated by Adele Kenny. I'll be joined by four other NJ poets, all of whom I adore and look forward to chatting with. Get up early and come join us! Then spend the day attending some of the other panels. There will be many panels held throughout the event in three different time slots. Two fantastic poets headline the festival: Patricia Smith and Li-Young Lee. Each will give a morning workshop. Then they'll read together at 1:00 PM. Don't miss this reading! I'm pleased to have two poems in the new issue of Tar River Poetry. This is my first appearance in this print journal. 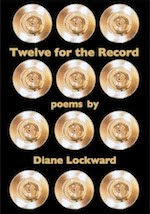 I find myself in very good company with poems by such poets as Kelly Cherry, Susan Laughter Meyers, Karen Paul Holmes, and Faith Shearin, and Grant Clauser. I see some names new to me and look forward to getting acquainted with those poets. My own poems are "Signs That Life May Yet Work Out as You'd Like It To" and "Why I Couldn't Keep Him." This is an exclusively poetry journal which pleases me. It's a slender volume with perfect binding and, as you can see, a lovely cover. I'm going to subscribe, and I suggest that you consider doing the same. Some years ago I posted a list of other all-poetry print journals. I just dug that out and will re-post it here. 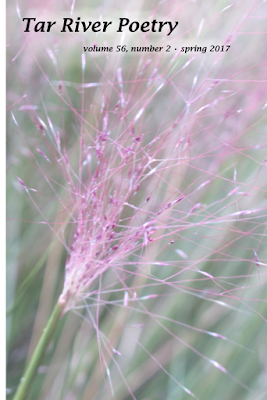 Although I subscribe to several journals that include poetry and prose, I often find myself skipping over the prose pieces to get to the poems. So it occurred to me that perhaps I ought to subscribe to a few more poetry-only journals. Poetry with perhaps some reviews of poetry books, interviews with poets, and / or a poetics essay. A bit of art would be nice, too. I then set about gathering a list of such journals. Perhaps you might also be looking for a few ideas for new subscriptions, so I'll share the list with you. Those with two asterisks are ones I am already subscribed to. Focus on narrative poetry. Two issues per year. One is a contest issue. Poetry and interviews. Each issue has a section of poems solicited from a particular group, e.g., nurses, attorneys. Two issues per year. Poetry and reviews. All reviews are also archived online. Two issues per year. A very beautiful journal, perfect bound, glossy paper inside, pretty end pages. Poetry, interviews, reviews. Two issues per year. Let me know what I've missed. Do You Know Where Your Donut Poem Is? We are still open for submissions for our forthcoming anthology of donut poems to be edited by Jason Lee Brown and Shanie Latham. Deadline is May 31, so you still have time to get yourself to a donut shop, sample the goods, then rush home and write your masterpiece. We are open to all kinds of forms: formal verse, free verse, prose poem. Be sure to check our Guidelines. Submit via Submittable. No fee. 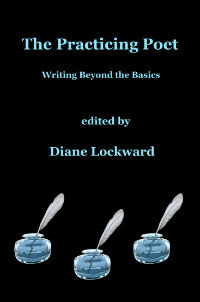 Compensation is one complimentary copy of the book for US contributors. Poets outside of the US are welcome to submit, but we cannot cover exorbitant postage fees.